Home » Blogs » 7GenGames » Can you customize video games for tribal youth using “Native culture”? Does it even make sense to talk about “native culture” when there are over 500 tribes? In a previous post, I described the math and story line involved in our project making games customized for tribal youth. (This is from a paper Bruce Gillette and I presented at the National Indian Education Association meeting in Reno last year). The challenge to the development team was how to incorporate contemporary activities and traditional culture. The answer is elaborated in De Mars and Longie (submitted). Cultural appropriation is a legitimate concern of indigenous people. In the United States, non-natives have copied native culture in everything from Native American themed parties to celebrities in costume to lingerie ads. The backlash from indigenous communities to this mimicry is understandable. Video games offer a more functional application of Native American culture, specifically, Dakota culture. While at first glance, traditional Dakota values and educational video games may be an unexpected combination, there is much more to being a Dakota than regalia, pow-wows and sweat lodges. Other cultures that wish to copy the Dakota are advised to copy these values – honesty, courage, generosity and perseverance. Both the National Council of Teachers of Mathematics and the Common Core standards emphasize the importance of perseverance in mathematics. The very first standard of mathematical practice is “Make sense of problems and persevere in solving them”. a broad view of the family. Blaeser cites endurance, relatedness, survival, spirituality and time as important cultural ideas. Vizenor (1998) also emphasizes survival, resistance and relation with nature as important contexts of native culture. If you’d like to get all of our games for under $20, click this link. In the United States, despite hundreds of years of oppression and campaigns of extermination, the Native Americans have survived and persevered (Longie, 2006). When youth wear clothing emblazoned with “Native Pride” whence comes the source of that pride? It’s not the poverty or the plethora of other problems endemic to most reservations– it’s character, those values that people should emulate that have enabled the Dakota to endure and survive as a people despite those challenges. Perseverance in the face of hardship may be the unifying characteristic of native peoples. The Dakota Math project study applied perseverance and fortitude, two major values of the Dakota to game development, with the objective of improving academic achievement of Native American children. Perseverance is defined as a steady and continued effort, usually over a long period, and especially in spite of difficulties or setbacks. The Dakota cultivated perseverance. Traditionally, rules were rules of survival and if they weren’t followed, the whole tribe was at risk. Those who enforced the rules persevered in their chastisements until individuals conformed to the law. Without perseverance, the Dakota would not have survived the world they lived in. Still, even if some common values and views can be identified across many tribal groups, how can that be used in the contemporary school system to teach mathematics? Is that a crazy idea? No, as you’ll see in the subsequent post, it’s indeed very practical. Blaeser, K. (2015). 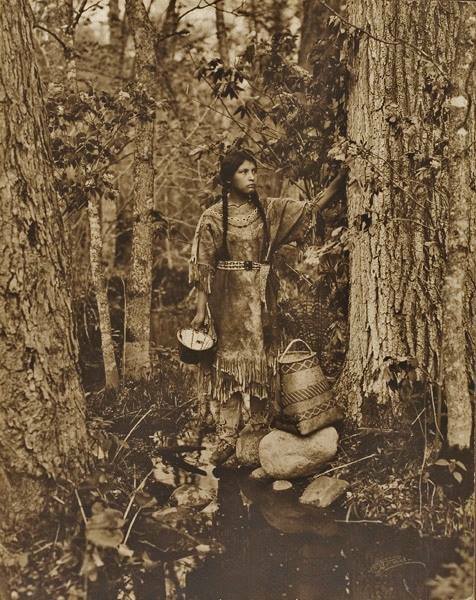 Refraction and helio-tropes: Native photography and visions of light. In C. C. Waegner (Ed.) Mediating Indianness University of Manitoba Press. 163- 197. McGlennen, M.S. (2015). “By My Heart”: Gerald Vizenor’s Almost Ashore and Bear Island: The War at Sugar Point. Transmotion, 1(2) 1-25. Red Horse, J. G., Lewis, R. G., Feit, M., & Decker, J. (1978). Family behavior of urban American Indians. Social Casework, 67-72. Sue, D. W., & Sue, D. (1990). Counseling the culturally different: Theory and practice (2nd ed.) . New York: Wiley. Vizenor, G. (1998) Fugitive Poses: Native American Indian Scenes of Absence and Presence. Lincoln: U of Nebraska Press. If so, what are your 5 favorite video/computer games of all time? How has the design of those games informed how you design and produce the games that you make? I have no concerns about cultural appropriation, I just have concern that in the art/commercial product known as an “educational game” it seems to me that you are focusing on the educational part to the detriment of the game part. If you are trying to build a sustained presence in the educational gaming world your going to have to focus on them both. Have you looked at a game called Ooblets? Look at that game if you haven’t. It’s a great example of a modern children’s game. I play games but I wouldn’t say that I am a gamer because I don’t really spend that much time playing games any more. When I do, it is more for getting ideas. So, I play a lot of games I don’t like that much to see what’s out there. Some of those give me ideas on what NOT to do. My favorite game that I play for fun when I have time is World of Warcraft. When I was younger my two favorite games were Dark Castle and Hitchhiker’s Guide to the Galaxy. In the latter case, the story line was a big part of why the game was fun, and we try to incorporate that in our games. I also play a lot of casual games like Gardenscapes, just because it is a 10 minute break from work. You can see the Gardenscapes idea in Making Camp – do an activity, earn points, spend money to customize your garden (or, in our case, tipi). World of Warcraft – the idea of quests, being able to travel around and explore the world more (originally, we had a more linear path). It’s late so I can’t give this answer the detailed response it deserves. It is not as much that we are focusing on the educational component only and more that funds for most educational games are a tiny fraction of what they are for most major console games. Is there a particular reason why the context of your games seems to happen in a historical specific location. It does seem a bit problematic to continue these protryals of Indigenous Peoples, specifically the Dakota, in historical time and spaces, especially since this sort of reifies stereotypical depictions of them. I believe my question is are there more initiatives to make the games that your company is producing to be more interactive with a portrayal of contemporary issues or other acts of injustice that are happening to Indigenous communities within the “United States”, especially those similar to Forgotten Trails? I ask this question because this post talks about core Indigenous Peoples’ values, and asks a question that isn’t entirely answered in this post, only an implied yes. Also, the article, “Frozen in Time”: The Impact of Native American Media Representations on Identity and Self-Understanding (2015), has been on my mind and has me thinking about the representations of Indigenous Peoples within the media, especially the video game industry. Thanks for asking. 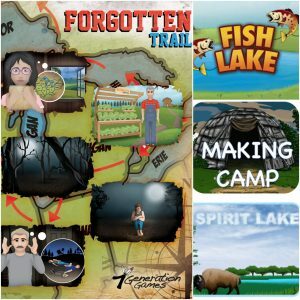 First of all, the reason Fish Lake, Spirit Lake and our newest game, Aztech, focus on a historical context is that the games are used in schools in social studies , so they are used specifically to teach history. Our company spun off from Spirit Lake Consulting, Inc. which was founded on the Spirit Lake Dakota Nation and our games were first tested on reservations in North Dakota. One of the reasons for including this particular context is that Dakota Studies is part of the curriculum in the original beta test sites and this is what students are learning in social studies in grades 4-5 at those schools. Secondly, not all of our games happen in a specific historical location. Forgotten Trail is set in the present. Two Ojibwe kids who grew up in a small town in North Dakota decide to retrace the Ojibwe migration and they meet people along the way who teach them about their history. We are still working on this game but it does not specifically address issues like the XL pipeline next to the Standing Rock reservation. Crossroads, which we are developing with the substance abuse program from the Mandan, Hidatsa, Arikara nation is also a contemporary game and focuses on children dealing with methamphetamine abuse in the family. This is intended for use in substance abuse prevention and treatment programs. We run into two major issues all of the time. One is that the games need to match what is in the school curriculum. The other is that sometimes what adults – tribal elders, school administrators – feel kids should learn and what kids find personally meaningful don’t always agree. Those are two, additional LONG posts. P.S. Thanks for the article reference. I’ll check that out.